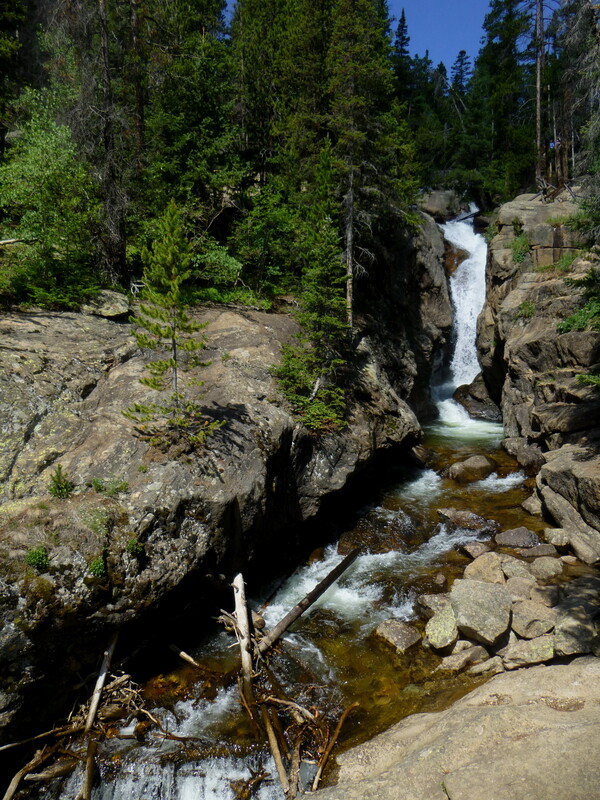 As visitors will know, the “hike” to Chasm Falls is not much of a hike at all. Rather, it is a pleasant place to quickly stretch your legs (and get your heart pumping on the return ascent) on the drive up lovely Old Fall River Road. 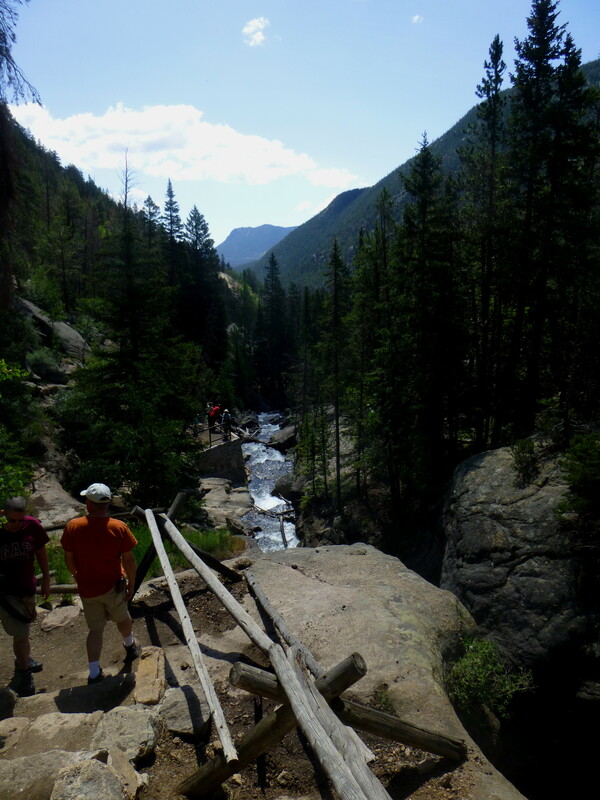 At the bottom of the short trail, visitors can gaze over the handrails at the 25-foot chute that carves through the rock on its way down toward Endovalley, Horseshoe Park, and beyond. The views to the east down Fall River are quite nice as well. Spotting the trailhead amid the switchbacks on Old Fall River Road is a bit tricky. About ½ mile before the actual trailhead, a collection of cars parked along a bend in the road—with Fall River rushing off the right—likely deceives visitors every day, ourselves included. 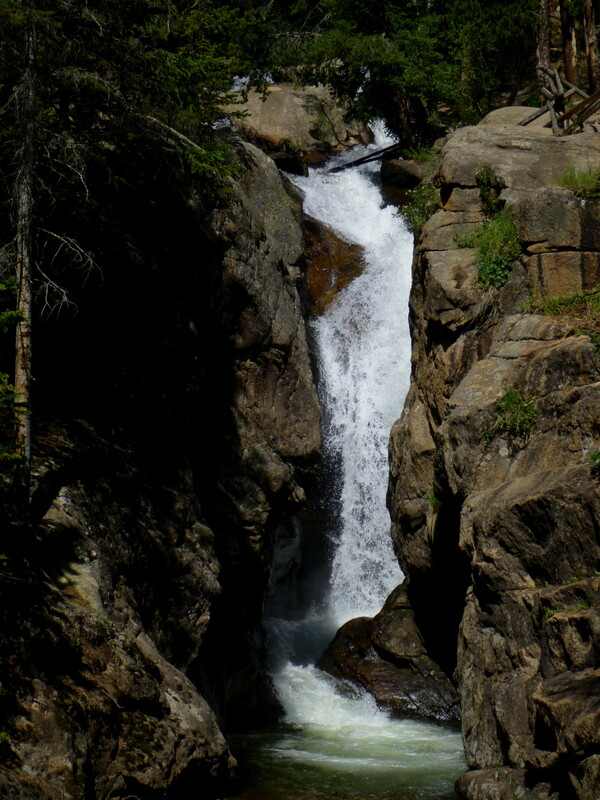 While there is a faint path that follows alongside Fall River on the right, it quickly becomes apparent that this is not Chasm Falls trail. A half-mile up the road, a more obvious turn-off on the left marks the true trailhead. Parking here is more abundant, though there is probably room for only 10 or so cars at a time. 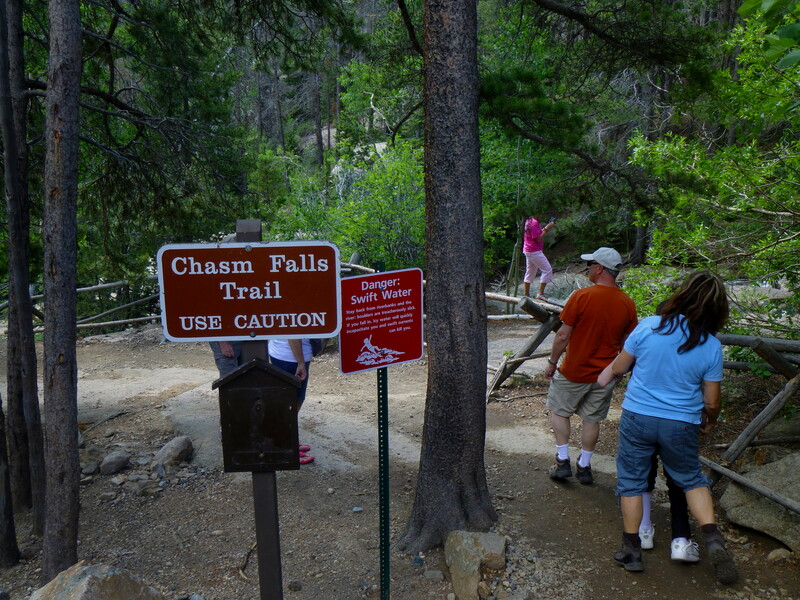 A clearly marked sign—“Chasm Falls”—denotes the beginning of the walk. From here, it is a steep, rocky downhill that may not be best for the faint of heart. A quick 500 feet or so from the top, there is a well-established viewing point, complete with hand railings. Viewed from here, Chasm Falls is tucked away to the right, squeezed between two walls of rock, making for what would surely be a beautiful photo with a better lens. Looking the opposite direction, spend a minute taking in the view of Fall River as it tumbles down toward Endovalley picnic area. 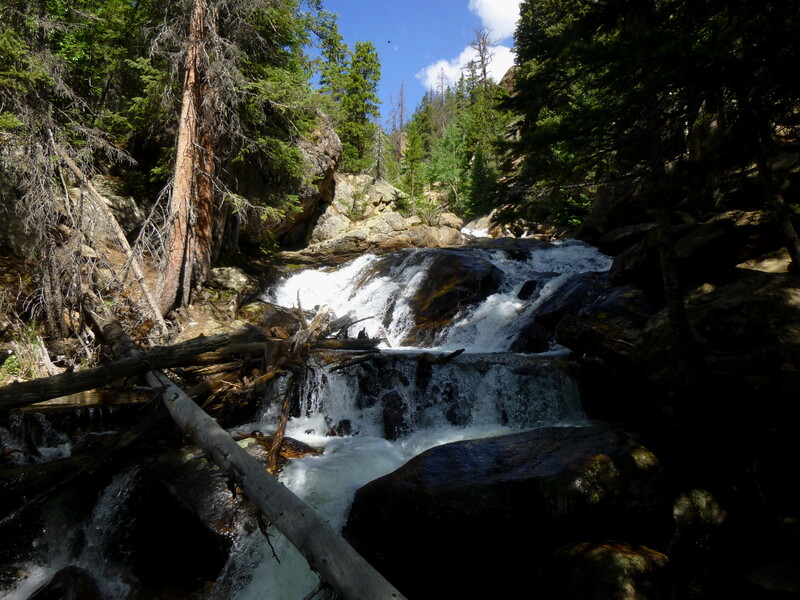 Evidently (though I could not find it), there is an unofficial trail that descends down to the false trailhead mentioned above. Return the way you came – the steep uphill, though short, will almost certainly get the heart racing. For the round trip to the viewpoint, allot at least 15-20 minutes. 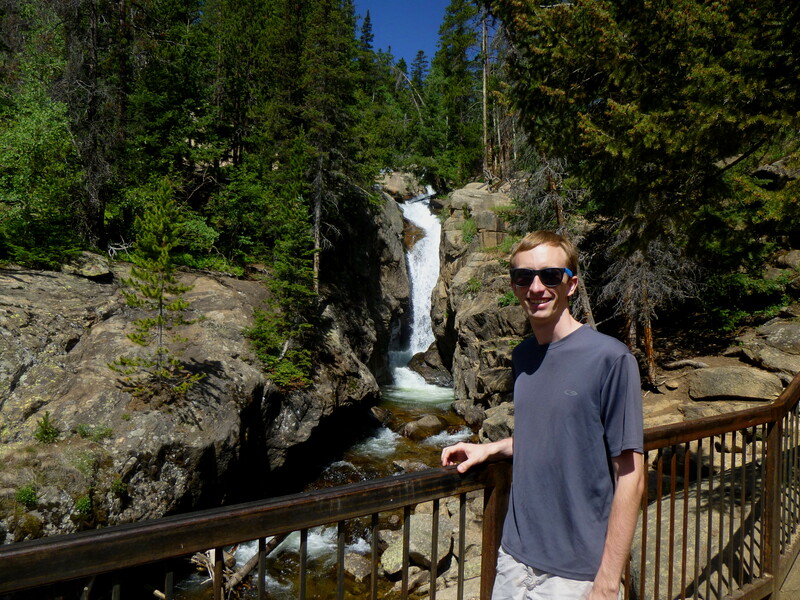 This entry was posted in Colorado, Easy Hikes, Rocky Mountain National Park and tagged Chasm Falls, Colorado, Endovalley, Fall River, Old Fall River Road, Rocky Mountain National Park, waterfall. Bookmark the permalink.